Found 2 file extension associations related to FreeOTFE and 1 file format developed specifically for use with FreeOTFE. FreeOTFE is a free, open source, "on-the-fly" transparent disk encryption program for PCs and PDAs. 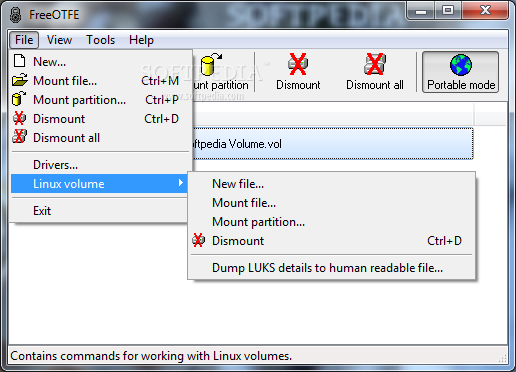 Using this software, you can create one or more "virtual disks" on your PC/PDA. These disks operate exactly like a normal disk, with the exception that anything written to one of them is transparently, and securely, encrypted before being stored on your computer's hard drive. If you need more information please contact the developers of FreeOTFE (Sarah Dean), or check out their product website.